This year, I've decided to go with a "theme" for the entire month of December. Each day, I will be posting a picture of Christmas decorations from a different spot around Walt Disney World. Disney does an amazing job of decorating the parks and resorts, and I thought it would be fun to photograph some of the many trees, wreaths, etc. that can be found during this holiday season. 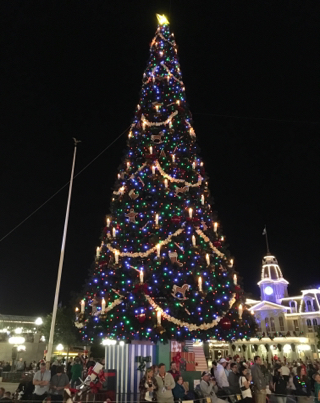 I am starting the month off with a shot of the Magic Kingdom Christmas tree, which I took this past weekend.